I worked on the web scraping part of the app, which finds articles from a news source about a topic over a time period. I also worked on linking together all of the components of the app. 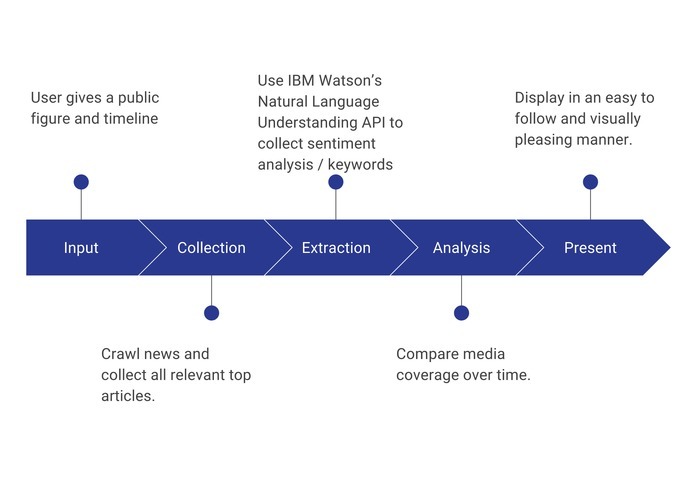 I used IBM Watson's Natural Language Understanding API to perform sentiment analysis on the collected data. I also helped clean up the front end.